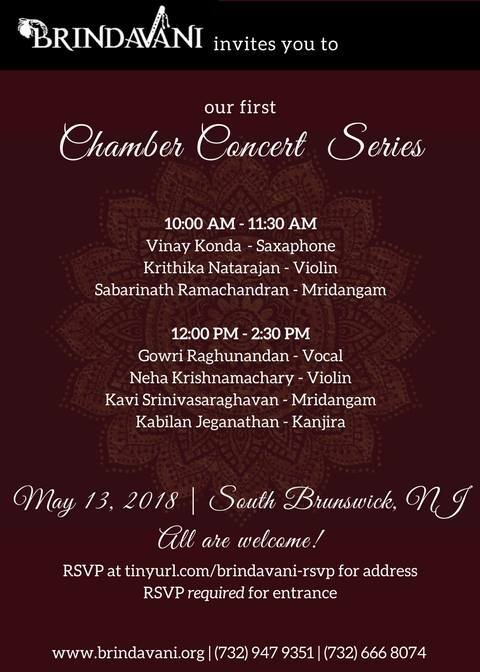 We at Brindavani are thrilled to announce our very first chamber concert! We invite you to join us on Sunday, May 13th for an exciting morning of music with concerts given by Carnatic America’s talented youth. ​All are welcome to RSVP at tinyurl.com/brindavani-rsvp. Space is limited, so you must do so in order to enter! We hope to see everyone there!